The upcoming Masterpiece Rodimus Prime figure will also transform into Hot Rod, as speculated by some fans after the prototype was revealed. The figure will have Hot Rod’s robot and sports car modes, as well as Rodimus Prime’s robot and flaming Winnebago modes. 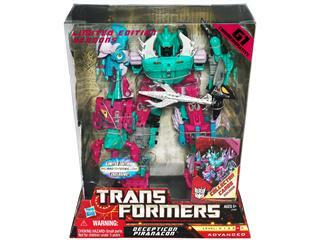 Online retailer Big Bad Toy Store has the G1 Seacon reissue set in stock. The set will not be available at regular retail. KOtoys.com has a photo gallery comparing the upcoming Generations Dirge with the previously released Henkei Dirge. 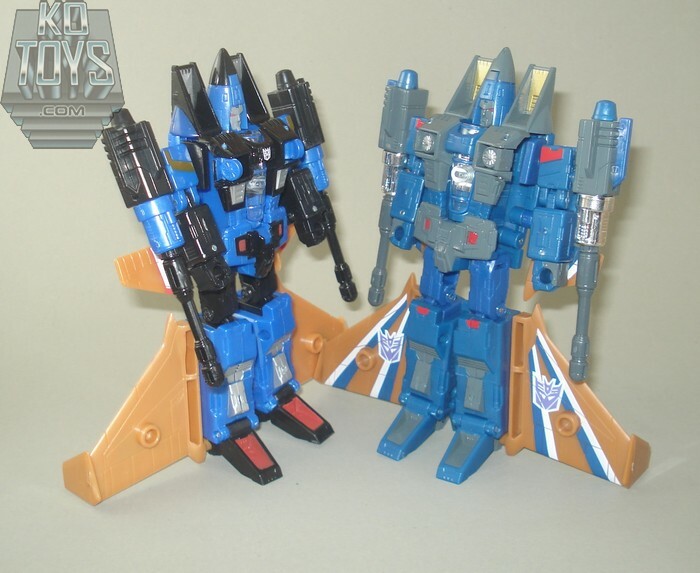 Notable differences on the Generations version include black plastic instead of gray, and differing wing patterns, both of which more closely resemble the original figure. You can see it to the right in the main menu column. This list will stay as current as possible based on substantial sightings info rather than rumor, and will be removed after a month or so. If you have any suggestions for newer sightings, post them in the Sightings forum.